Home » Stories » What Does Success Look Like? Many believe that it is the reduction of recidivism (defined: the tendency of a juvenile to reoffend), or some say that it is a youth who graduates high school. Some experts talk about our youth making progress in their treatment by working on their high-risk domains or youth repairing the harm they caused their victim through restorative practices. All are great measures of success! However, these could be short-sighted and not internalized leading to short-term behavior modification and not life-long inside-out transformation. Any young person would behave outwardly for a short period of time in order to earn their freedom. Our mentoring program, instead, looks at longevity! Our current average relationship with a mentor is 4 years with their mentee and even those years are not long when you think about a young person’s prefrontal cortex not being fully developed until the age of 25 and their decision-making skills not fully matured. I recently started working with a young man who I met in 2012. After he paroled to the community we lost touch when he got locked back up with new charges. He is 17 years old today and a lot of maturity has happened these past 5 years, but we hope to continue our relationship far into the future! 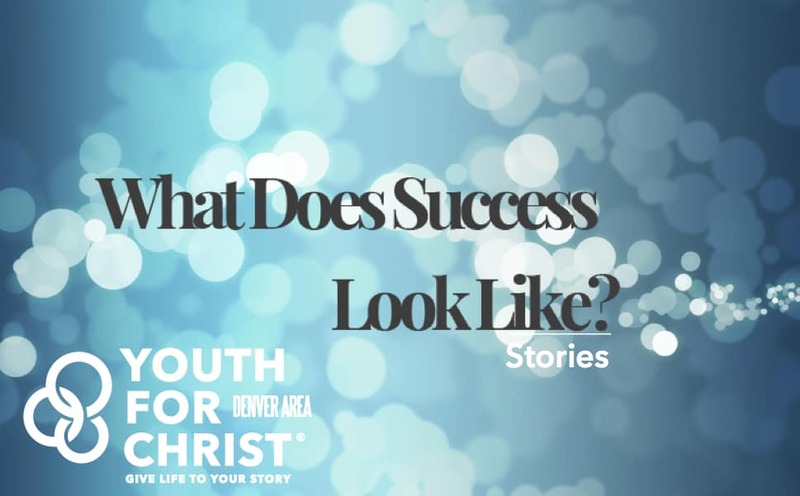 Denver Area Youth For Christ wants to see life-long followers of Christ! We don’t just have a mentor/mentee relationship; we call each other friends! Thank you for being a part of the ongoing conversation with youth in our city and helping us share God’s story. It's our honor to be the storytellers on your behalf who meet kids right where they are and give life to their story.